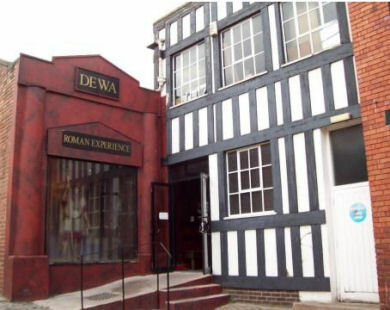 The award winning Dewa Roman Experience is a family run attraction suitable for both members of the public and privately booked groups. Since 1993 visitors of all ages have enjoyed wandering through Roman Streets, exploring the archaeological remains and handling ancient relics in the hands-on studio. Your visit begins in the dark hold of a Roman Galley. Grapus the Oars Master tells of the dangers you will face as you near the edge of the known world. Upon leaving the galley you will be able to see the reconstructed granary, barracks, bath-house, taverna and market stalls that would have formed part of the fortress that was once home to the 5000 strong "brave and victorious" Twentieth Legion. Here you will be able to experience the sights, sounds and smells of Roman Britain. Dewa Roman Experience occupies a unique site at the heart of the original legionary fortress. In 1991 archaeologists discovered remains of the fortress on this site and the excavations have been left open for public viewing. 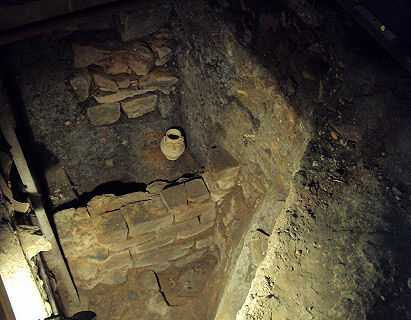 This is a rare opportunity to view the genuine Roman, Saxon and Medieval remains buried beneath Chester. A superb collection of artifacts from both Chester and the wider Roman Empire is on permanent display at Dewa. The award-winning 'hands-on' room is immensely popular with both adults and children alike. 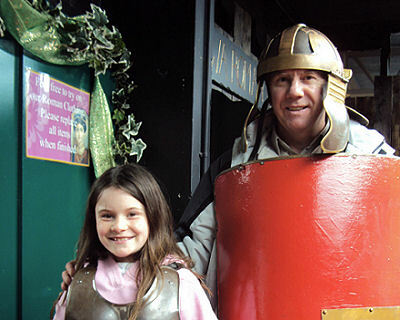 Here the visitor can do a variety of historically themed activities such as trying on Roman Armour, firing a catapult, building a hypocaust and creating a mosaic. For the budding archaeologist there is a chance to handle and sort ancient pottery and bones on display. If 'Horrible History' is more your thing you can try the Roman smells challenge or plunge your hand into the unknown with the 'Feely Boxes'.